This Christmas, bundles of joy are under the tree for these two couples! Moira Cullen's walk on the wild side is now haunting her. She has to tell Will Becker, the man who rescued her from a disastrous evening, he'll be a father. He proves he's a good man when he becomes involved with their baby. But is he here because he wants to be, or because he always does the right thing? Teacher Eli Cartwright has it all figured out. Then her perfectly ordered existence is completely upended with an unplanned pregnancy! Suddenly Eli is single, terrified?and exuberant. And her colleague, Zac Keller, has never been more attracted to her. 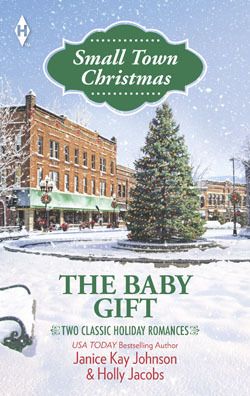 But can he convince Eli that life sometimes offers more than one unexpected gift at a time?